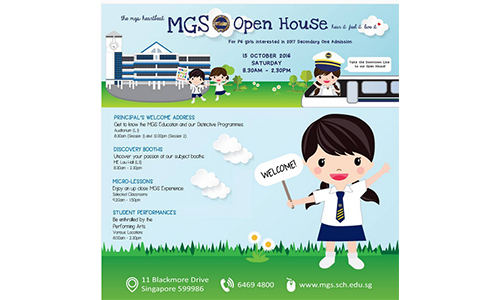 Date/Time - 15 Oct (Saturday), 8.30 a.m. – 2.30 p.m.
At this open house, potential Secondary One girls and interested parties may get to know the MGS brand of education and its mission to educate “every girl in a Christian environment in order that she may Master, Grow and Serve in every phase of her life”. Uncover your passion at the subject discovery booths. Enjoy some micro-lessons through an up-close MGS experience. Be enthralled by the Performing Arts. 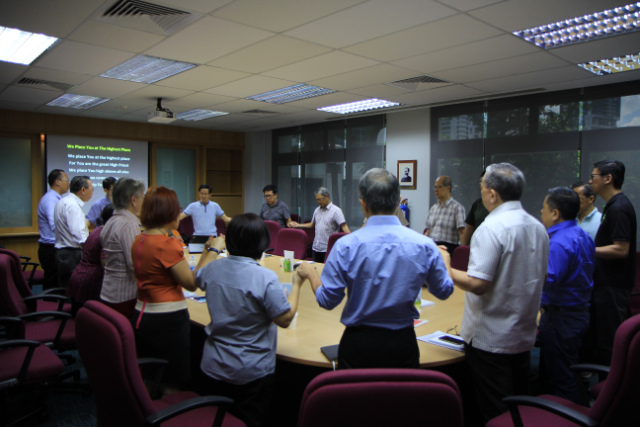 Organised by MGS. Free admission.